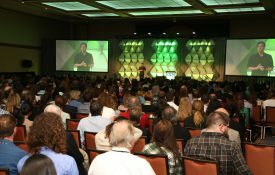 The APS Annual Convention includes these extended educational sessions that offer attendees the opportunity to learn research methods and techniques from prominent psychological scientists. Workshops are open to Convention and/or Teaching Institute registrants only and require separate registration. This introductory workshop provides a broad overview of multilevel modeling (MLM). Topics include why MLM is needed for nested or dependent data structures; differences between fixed- and random-effects models; within- and between-person centering; and formulating, testing, and interpreting a multilevel model. The workshop concludes with an interactive session using R.
Science is hard and keeping up with the latest changes in technology and research practices can feel overwhelming. This workshop is designed to increase your productivity by making your research and teaching more efficient, transparent, and impactful. This will introduce you to a wide variety of strategies and technologies that you can employ in your work. R is an immensely popular and powerful open source software system for statistical computing, data analysis, and graphics. This 4-hour workshop is targeted at graduate students, emerging scholars, and applied researchers and is meant as an introduction of how to interface with R to carry out basic and intermediate statistical analyses. The use of Bayesian estimation has increased over the years because this estimation framework can handle some commonly encountered problems in orthodox statistics. This workshop will introduce participants to the prevailing “best practices” for Bayesian estimation. We will explore its benefits and discuss what is needed to review empirical papers that have used Bayesian estimation and we discuss how to run your first Bayesian model. The speakers review the theory and practice of data analysis with the general linear model (GLM) using both SPSS and R packages. Attendees will learn how to carry out regression, ANOVA, and ANCOVA analyses with the GLM. Details include dummy and effect coding, statistical adjustment, polynomials, interpreting interactions, and checking model assumptions. This interactive workshop overviews mediation analysis for designs which include nesting or clustering of observations (e.g., over time, within participant, within groups). We will cover implementation (using two freely available tools for SPSS) and interpretation using real data from psychological studies. Participants are strongly encouraged to bring laptops. 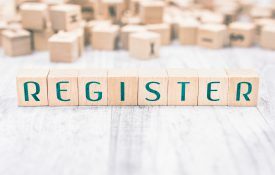 What is preregistration, how can it help you, when is it most useful, and what tools are available to support it? This workshop will provide hands-on guidance in crafting and registering a research plan that editors and reviewers will find valuable in assessing your research (and that you will find useful in conducting it). Bring a laptop. 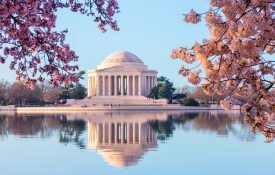 This workshop provides an introductory overview to the philosophy of machine learning, core machine learning principles and tools, and sample applications to psychology research. Topics include prediction vs. explanation, cross-validation, regularization, and the scikit-learn API. Prerequisites: a graduate-level course in psychological statistics. Programming experience is recommended but not necessary. The workshop describes the potential-outcomes approach, which is illuminating causal inference in many fields. The workshop will cover the assumptions of the potential-outcomes framework and its importance for psychology. Details of the method, including estimation, are described for the mediation model. The easiness of collecting high volume and complex data and the advances of computing have led to modelling taking a new turn. The synergy between computer science and statistics has become more important than ever before. In this three-hour workshop we will discuss methods of regression, classification and clustering. In particular, we will provide an overview of supervised learning methods such as regression and logistic regression and unsupervised learning methods such as cluster analysis, k-means, latent class analysis and mixture modelling. The three-hour workshop will aim to introduce participants to the above methods using real examples form social science applications. Topics of prediction, interpretation and model fit will be discussed. This workshop will provide hands-on training in teaching the “new statistics,” an approach that emphasizes effect sizes, quantification of uncertainty, and meta-analysis. The speakers will work through this approach for two research designs, examine how to support student learning within this approach, and provide example course materials. The speakers review the empirical research on several aspects of noncognitive scale development, including the impact of vaguely worded and of negatively worded items, how many scale points to include, whether scale points should be labeled or unlabeled, whether to include a neutral option, and how item order can affect responses. This workshop focuses on the use of Group Iterative Multiple Model Estimation (GIMME). GIMME is a data-driven method for arriving at time series models. It can be used on intensive longitudinal data such as daily diary and functional MRI. The presenters will also teach extensions such as subgrouping and latent constructs. The speaker first discusses the theoretical background of psychological network analysis, which holds that several psychological constructs can be conceptualized as systems of causally interacting variables. Then the speaker introduces the Ising model as a general data-generating model for psychological networks and discusses how one can estimate and analyze psychological networks.